Caistor couple Jill and Cliff Rust are celebrating today after winning the Daily Mirror’s Best British Front Garden. 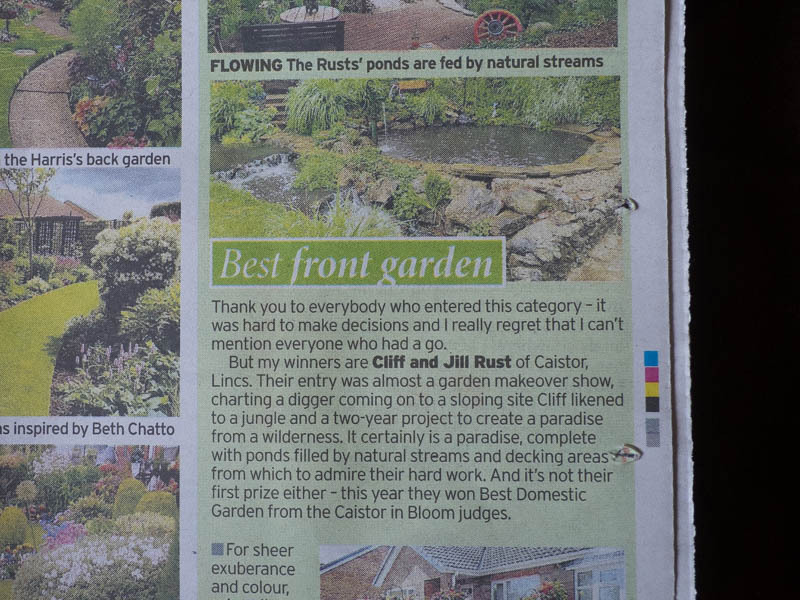 The category was part of the newspaper’s Top of the Plots Awards, which had 10 categories, including Best Rose Garden, Best School Garden, Best Vegetable Plot and Best Back Garden. Each category winner was awarded a £50 prize. Visitors will be able to see the garden during the World’s Biggest Coffee Morning on September 26 – when joint fundraisers Jill and her friend Doreen Blanchard from Grimsby are hosting one of the events in aid of Macmillan Cancer Support. 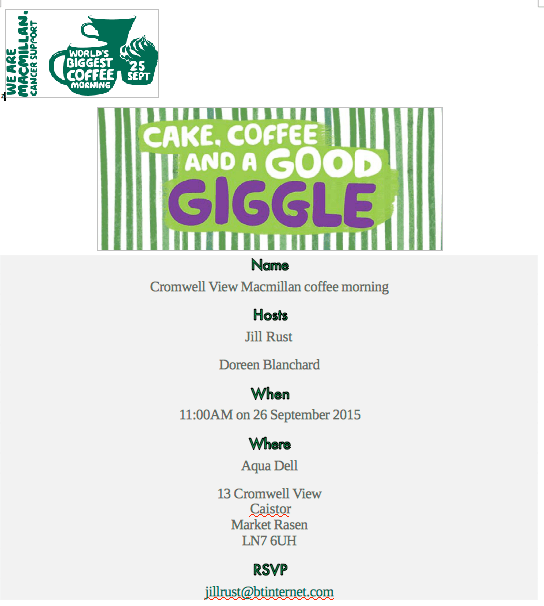 People across the UK and further afield will be holding the coffee mornings all on the same day, where donations on the day are made to Macmillan. Last year, more than £25 million was raised via the coffee mornings. Jill and Doreen will be hosting the coffee morning at Jill’s home in Cromwell View, where she and Jill’s husband Cliff have created their beautiful garden “Aqua Dell”. It is an absolutely stunning garden and as a new resident of Caistor it enhances an already delightful town that keeps revealing small gems to me.